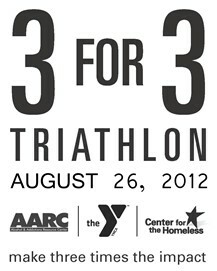 Three local organizations, The Center for the Homeless, The YMCA of Michiana, and the Alcohol & Addictions Resource Center, are hosting a triathlon on Sunday, August 26th, at the Michiana YMCA in South Bend. Notably, this event will have an interesting twist: for those interested, the swim leg may be substituted with a kayaking leg on the St. Joseph River! Please visit the official event site for full details.